The NPS is a recent development that was introduced in 2009; however, EPF has been serving the country’s employee population for over 50 years (since 1952) and still carries some advantages over NPS. Employee Provident Fund (EPF) and National Pension Scheme (NPS) are considered to be the leading retirement savings schemes in India. The NPS is a recent development that was introduced in 2009; however, EPF has been serving the country’s employee population for over 50 years (since 1952) and still carries some advantages over NPS. EPF contribution is compulsory for employees earning up to Rs. 15,000 a month in the formal sector. The contribution is pegged at 12 percent of the pay and the employer contributes a matching amount. 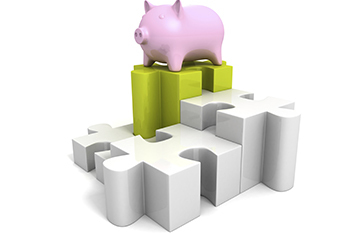 For employees who struggle to save, the EPF is a better savings tool as it forces one to save. The NPS, however, is a voluntary contribution account where one can contribute an amount as low as Rs. 500 a month (Rs. 6,000 a year). NPS allows one to hike or reduce contributions depending on ability or the swing of one’s finances. A common feature of all tax-saving investments instruments is that they have lock-in periods. NPS stands out as a scheme with the longest lock-in period, i.e., one can withdraw the NPS amount only after completing 60 years. Only 60% of the corpus can be withdrawn tax-free, the remaining 40% is supposed to be put in an annuity. The EPF, however, has a relatively short lock-in period (Less than 5 years) and thus constitutes a more liquid investment for the investor in the event of a job loss or transfer. Investing in EPF does not cost the investor anything in terms of fees; however, investing in NPS calls for investor to part with the fund management fee. The amount of the fee varies for employees in the government and private sectors. The importance of saving for retirement cannot be overstated, whether it’s NPS or EPF, it is important to ensure that you save for later days.